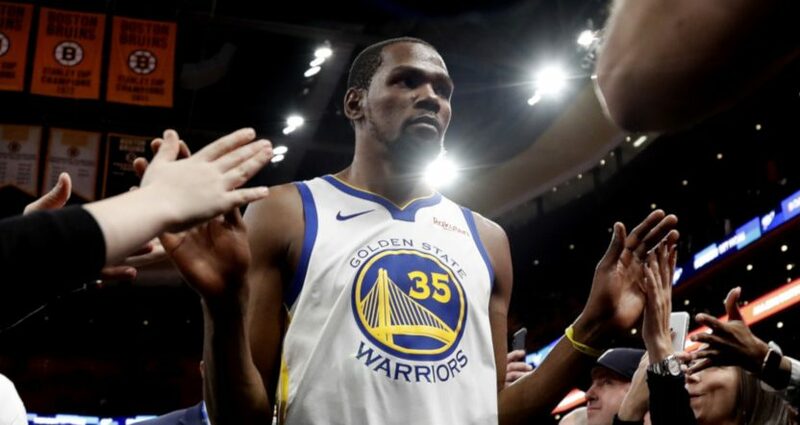 The Golden State Warriors edged the Boston Celtics 115-111 on the road Saturday night, but they almost didn’t pull it off. Golden State led just 29-26 after the first quarter and just 69-51 at the half, and Boston held leads in both the third and fourth quarters. With less than a minute left, the game was tied at 111. But although the Warriors came up with enough plays to ice this (and to cover the 3.5-point spread while they were at it), it almost didn’t work out for them thanks to some late mistakes. So Boston got the ball back, and Irving then drove and missed. But Green grabbed the rebound, and Curry grabbed it too, leading to a ball that went out of bounds off Golden State and gave the Celtics another chance to tie. But Marcus Morris missed a three that would have put Boston ahead, and Green grabbed the rebound. The Celtics fouled him, but he couldn’t make either shot. However, he was able to grab the offensive rebound and get the ball to Curry, and then Curry was fouled and sank two free throws to ice the game.